If after using the above approaches you are still having difficulty reaching all of these goals, you can try helping your child decorate his/her room, put a tent on his/her bed (for some this adds a sense of security), or use heavy blankets, which may add the needed heavy pressure his/her body is looking for. 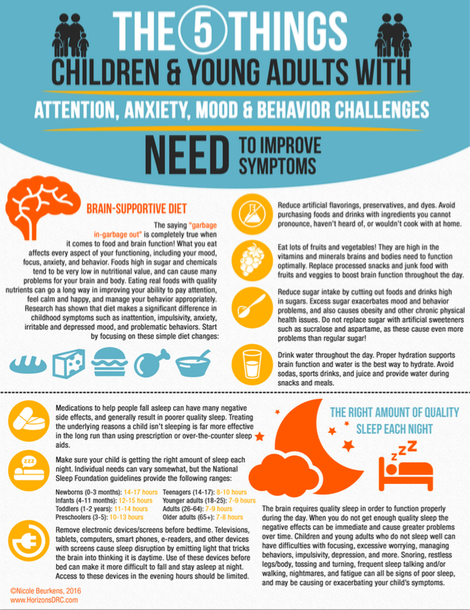 Melatonin supplements can also help children fall asleep more easily. If sleep continues to be an issue for your family after trying the steps above, find a professional who can work alongside your family to make a good night sleep a reality for all of you!